Autumn is now officially upon us and nice as the summer has been with an abundance of fine sunshine and sizzling temperatures, there is something about the changing of the seasons that brings a heightened anticipation to the place as the horses continue their preparations for the core part of the jumps season. 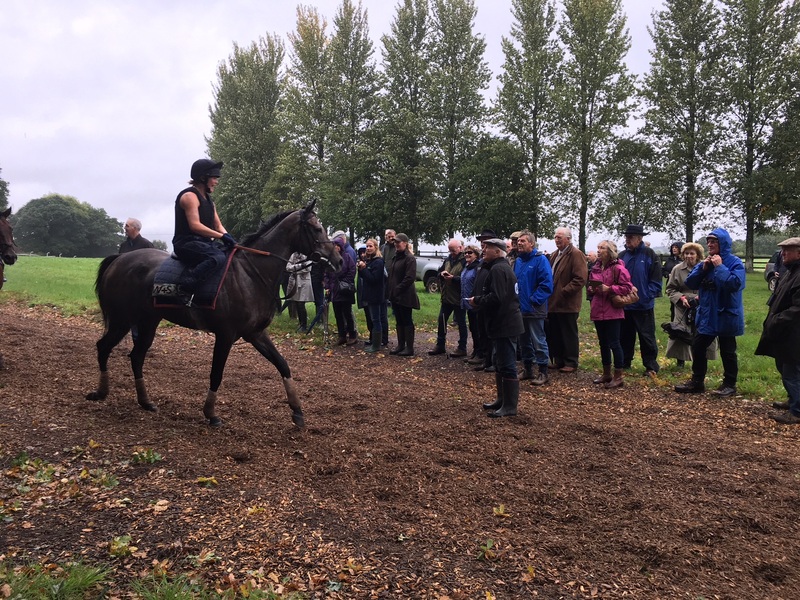 Although maybe not as strong in numbers as we have been in previous seasons, I think we have a very nice team of horses assembled for the coming months and annual members of Chepstow racecourse were able to witness them first hand when they paid us a visit last week. There was a somewhat truncated National Hunt programme last week with the jumps action finishing on Wednesday and as such we were limited to just the three runners. They were spread far and wide with Dell’ Arca contesting the Kerry National at the Listowel Festival in Ireland. I am pleased to report that the horses continue to perform well as the bulk of the string continue their preparation for the core part of the season – after all, the first fixture of the new campaign from Cheltenham is little over a month away! Although there were only a handful of runners last week, the majority performed well and I was delighted to produce a winner for long-standing (and colourful!) owner Stuart Mercer. While there isn’t a huge amount of jumping in the coming days, we still have a handful of entries and even turn our hands to the flat this afternoon. It was once again fairly quiet on the runner’s front from the yard but we had a few that ran well. It was a particularly pleasing comeback/stable debut from Midnight Sapphire who finishes second at Newton Abbot. 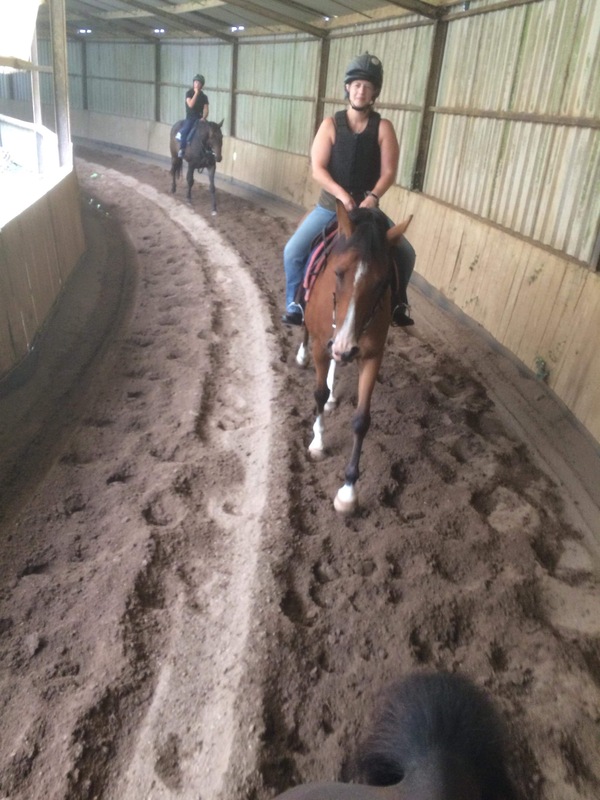 We had her in the yard a while but a few little setbacks have kept her off the track for 18 months. Her owner/breeders have been very patient and it was great to reward them with a good effort. She showed a very willing attitude keeping on all the way to the line, nearest at the finish and only beaten 1½ lengths. The good thing is that she has come out of the race well and hopefully she can build on that run next time and go one place better. Whitley Neill was a shade disappointing at Newton Abbot on the same card. He finished third but Tom Scu said he found the track a bit too sharp and a return to a more galloping course next time should be more to his liking. Dell’arca made a quick reappearance on the flat at Goodwood after his Newbury win and he probably ran better than his finishing suggests. Jockey Luke Morris said he did not really handle the track. He remains in good heart and he will have a few easy days before we decide his next target, whether it be on the flat, over hurdles or fences. A nice little problem to have! 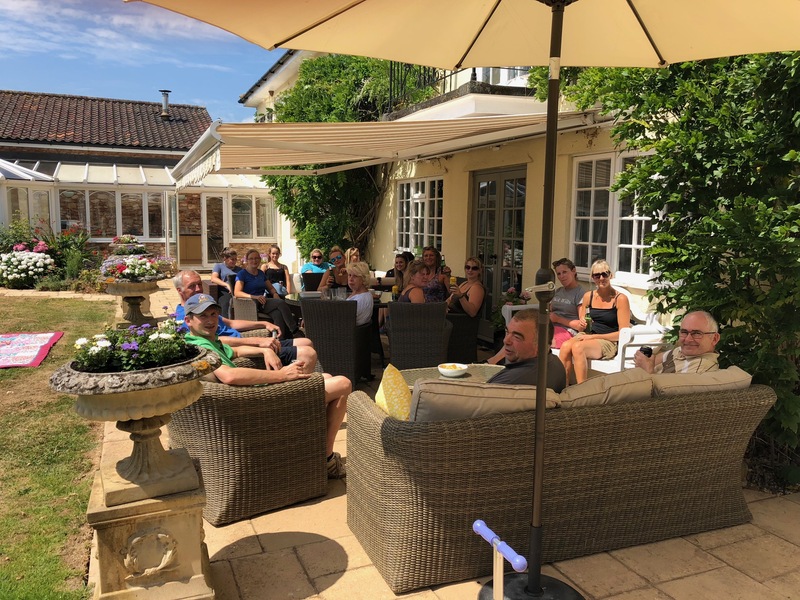 It was a good week for the yard with the stable enjoying a couple of winners from just four runners, which is considerably more success than we enjoyed on the golf course when playing in the Jim Old charity golf day at Marlborough last Monday! With a visit to the yard from the South West Hereford Association on Sunday, it has certainly been a varied few days. With the jumps racing action having taken a mini-break over the last few days we have been quiet on the runner’s front. We did have one runner on the flat at Haydock with Acker Bilk on Thursday. 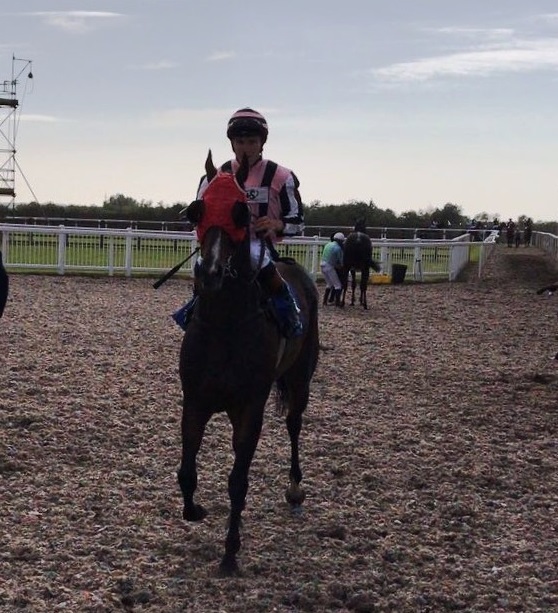 He was making his yard debut and although disappointing, jockey David Probert was not too negative and he thought are gelding did not really ‘let himself down’ on the quick ground. He has good form on the all-weather and so will probably appreciate some cut in the ground. I am sure he can leave this run well behind him next time where he is likely to go over hurdles. 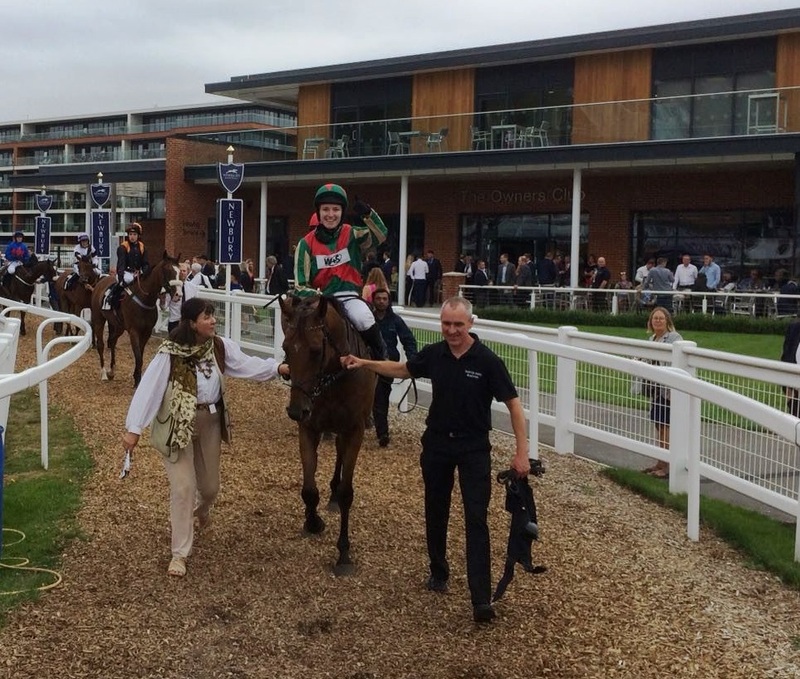 Today marks the final day before National Hunt racing’s eight day summer holiday and we head into the sabbatical with a couple of runners at Newton Abbot this afternoon. Even though there were no runners from the stable last week, we were still busy getting the remaining horses in from their summer holidays, purchasing horses and continuing with further yard maintenance ahead of the core season. Although this is considered to be the ‘quiet time’ of a National Hunt stable’s year, the reality is in fact very different. With the sun continuing to beat down until the end of last week, it has meant that the ground has remained unsuitably fast for some of our intended runners. 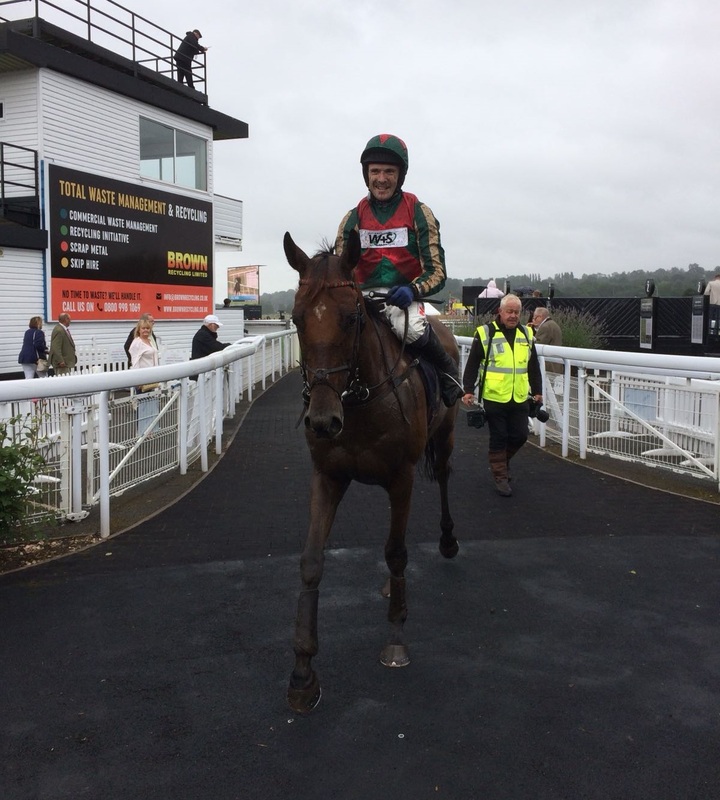 As such, there were only two runners from Pond House but they both performed creditably with old favourite Dell’ Arca producing one of his very best efforts to land a competitive handicap hurdle at Uttoxeter on Sunday. The horses continue to run well without quite getting their heads in front which is certainly frustrating. However, exasperating as it is, at least they are in decent form – it would be considerably worse if the horses were underperforming. With a dearth of jumps fixtures we only had four runners over the sticks last week with Timeforben narrowly denied at Uttoxeter, Chato a solid third at Newton Abbot, while Kalifourchon was still in with a shout when parting company with his rider.